Professional Movers.com reserves the right to change these terms and conditions and Moving Incentives at any time, and you agree to abide by the most recent version of the Guidelines for Eligibility and posted incentives being offered at the time. 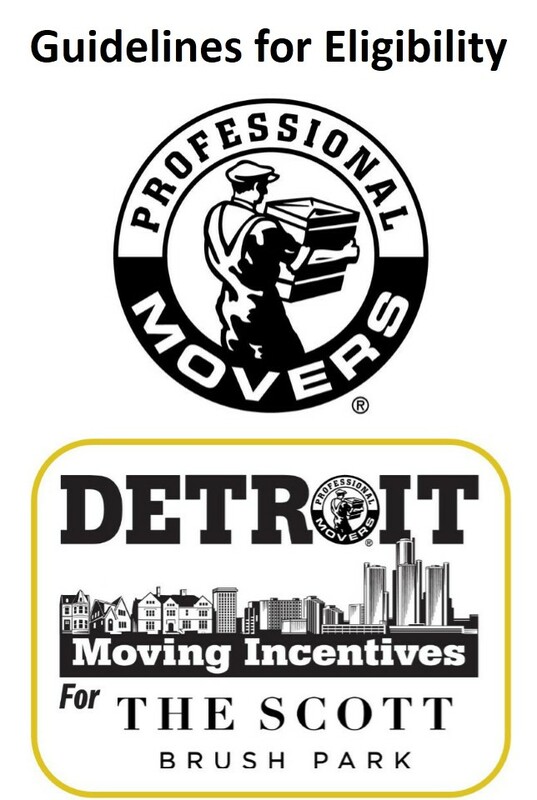 The most up to date Guidelines for Eligibility can be found at https://professionalmovers.com/the-scott-detroit-moving-incentive/guidelines-for-eligibility/. You are accordingly advised to consult the Guidelines for Eligibility each time you are applying for Moving Incentives for residences of The Scott at Brush Park. See below for the most recent version of the Guidelines for Eligibility for the Moving Incentives for The Scott at Brush Park residences.